Haimar Zubeldia will kick off his season under the Argentinean sun when he leads the new Trek team in its first race ever, the Tour de San Luis. The veteran Spaniard and Julian Arredondo will try to finish high on GC while the team lines up a strong sprint train with Fabio Silvestre, Eugenio Alafaci, Danilo Hondo and Giacomo Nizzolo. Trek Factory Racing is preparing itself for its first race ever when the successor or Radioshack will line up at the Tour de San Luis in Argentina on January 20. The team will send a young team to the South American country who will be able to rely on the experience of two of the senior members of the squad. Haimar Zubeldia has been given the captaincy role as the 36-year-old will start his season earlier than planned. 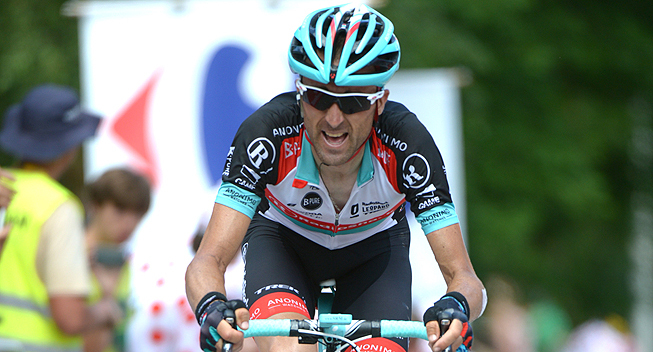 The Basque has twice finished 5th in the Tour de France and has raced all editions of the world's biggest race since his debut in 2003, only missing the 2010 race due to injury. In 2014, he will again do the Tour and the Vuelta a Espana as he wants to prove that he is still a genuine grand tour contender. “This will be my first time at the Tour de San Luis," he said. "I personally asked the sports directors if I could participate in this race because last year I pulled out from racing early into the season and also because I think that I’ll like Argentina, seeing as they speak my language there." The seven-day race is a truly diverse tour with three summit finishes, one flat time trial and three stages for the sprinters offering a bit of everything throughout the week. Zubeldia will be joined by new signing Julian Arredondo on the climbs as the Colombian will make his debut on a ProTeam in the Argentinean race. Riding for Nippo in 2013, he proved his climbing skills when he beat the WorldTour stars in the Tour de Langkawi earlier this year. Mark Cavendish, Tyler Farrar and Peter Sagan will make up a formidable sprint contingent in the race but they will need to take the Trek train into consideration. The team will send its main sprinter, Giacomo Nizzolo, and his trusted lead-out man Danilo Hondo to Argentina. They will be joined by new signings Eugenio Alafaci and Fabio Silvestre who will both make their professional debut in the January race. In 2013 the Tour de San Luis was won by Daniel Diaz who beat the likes of Jurgen van den Broeck, Tejay van Garderen, Alberto Contador, Vincenzo Nibali and Joaquim Rodriguez to take a surprising victory.